Carvaan is not just a collection of songs but an experience for its consumers. Saregama recently celebrated its one million sales mark of Carvaan. The journey that started a little more than a year back has given the music industry a new high. Saregama Carvaan was introduced at the time when the world was going gung-ho about shift of music consumption pattern from physical to digital. Following the brand wagon was the no brainer for most of the industry players, but Saregama chose to take a step ahead by introducing a product that was never thought of and it later also got awarded as ‘Innovation of the Year’. The product not only became a hit with its target audience but it broke numerous fads of the industry. To mention a few: It was believed that the consumers in India do not like to pay for music. Experts thought that it is difficult for a product like Carvaan to be successful in this market where the data cost is so low and the entire playlist is available online for free. The device could offer only 5000 songs unlike internet which had the entire musical world to offer. Still a handful of people understood that Carvaan was not just a collection of song but an experience for its consumer. Carvaan, unlike the expectation was introduced as a solid product in shape of a radio with chunky buttons and dial. It was interesting to see how the product became a must for the living rooms of music connoisseurs and soon people also started matching the device with their furniture! Where most gifting companies focused on Millennials, Saregama was one of the few brands that introduced a product for older generation. It is the only brand that offers in home warranty for an electronic product that costs below 10K. It also offers home demo facility for the consumers. 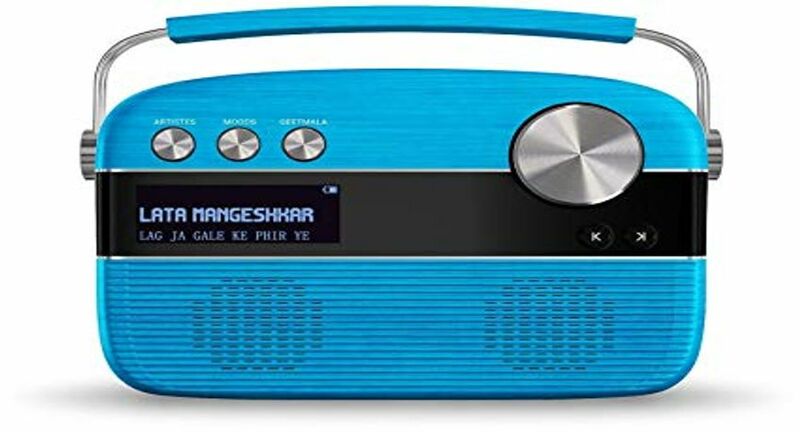 Saregama Carvaan today, offer a range of products for its consumers – Carvaan Premim, Carvaan Gold, Carvaan Mini 2.0, Carvaan Tamil, Carvaan Bengali and Carvaan Marathi.